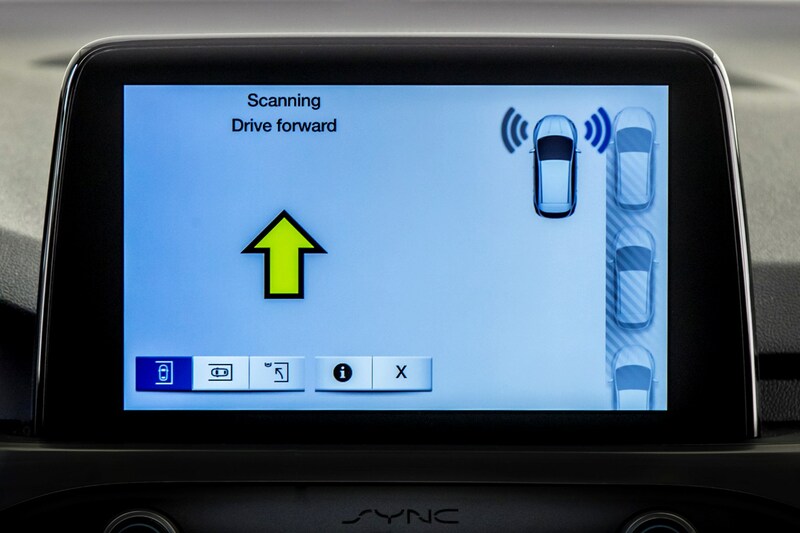 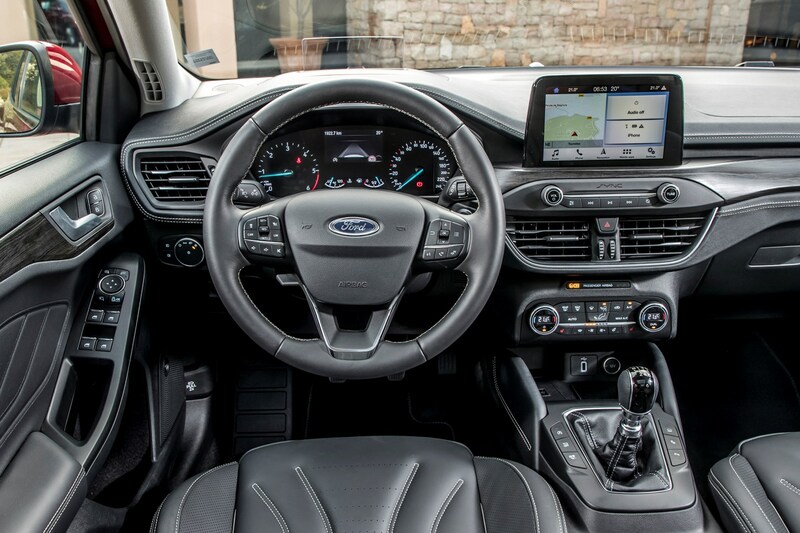 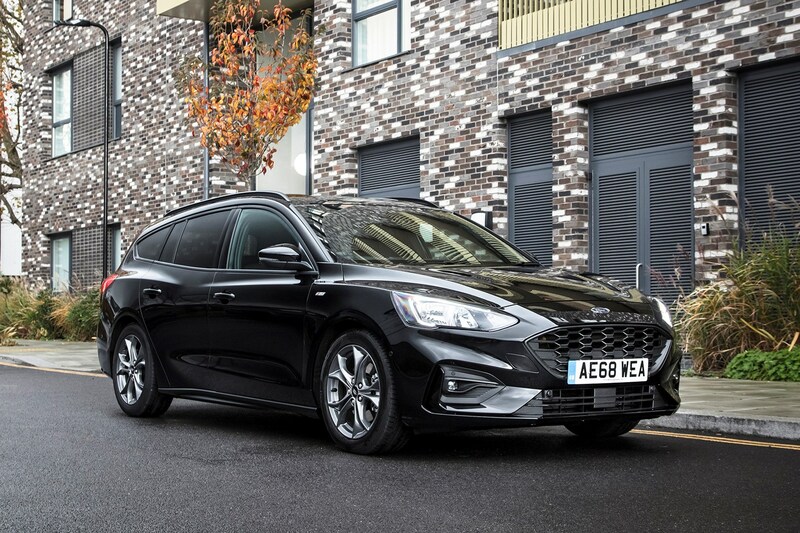 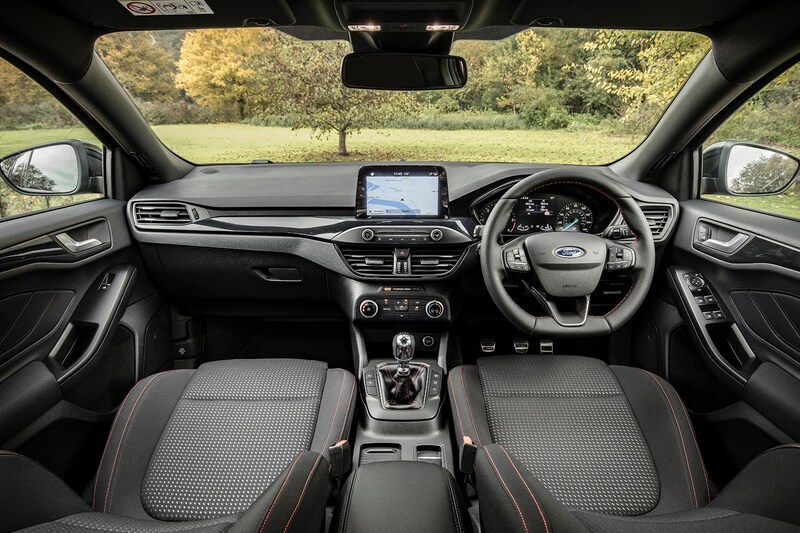 The fourth generation of Ford Focus Estate might look sleeker than its outgoing predecessor, but it boasts a larger load area, and comes comprehensively updated with a new suite of safety equipment and improved infotainment connected technology. 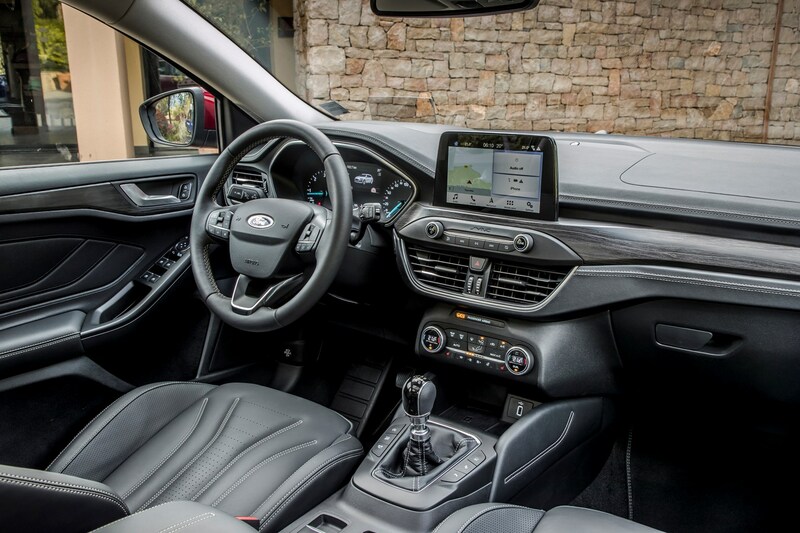 The 2018 Focus Estate competes against some very talented – and roomy – rivals in the lower-medium family car market, but in its quest to maintain estate-car market leadership, the company promises a car that's better to drive, safer and more efficient. 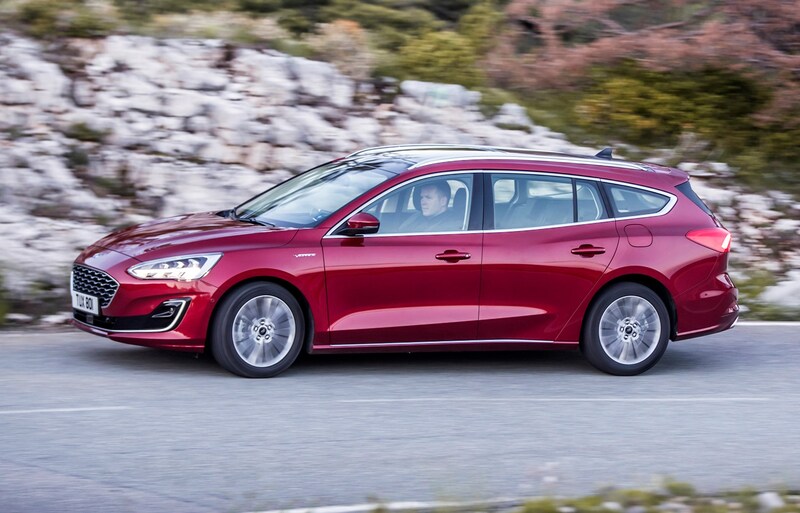 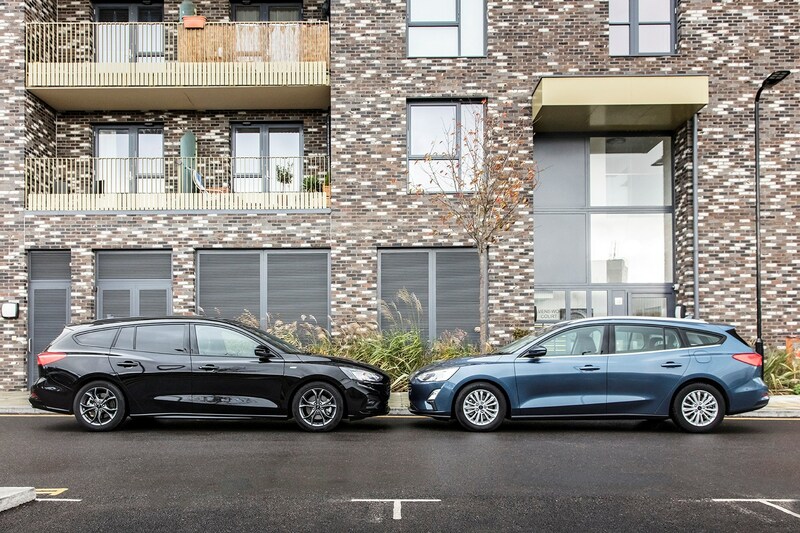 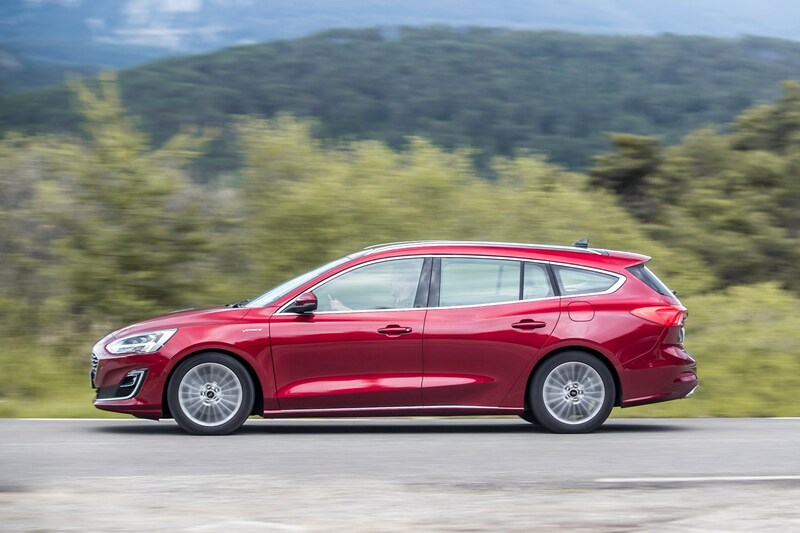 Chief among its rivals are the Vauxhall Astra Sports Tourer and Volkswagen Golf Estate, but a slew of other pretenders to the crown include the Fiat Tipo Station Wagon, Hyundai i30 Tourer, Peugeot 308 SW, Renault Megane Sport Tourer, SEAT Leon ST and Skoda Octavia Estate. 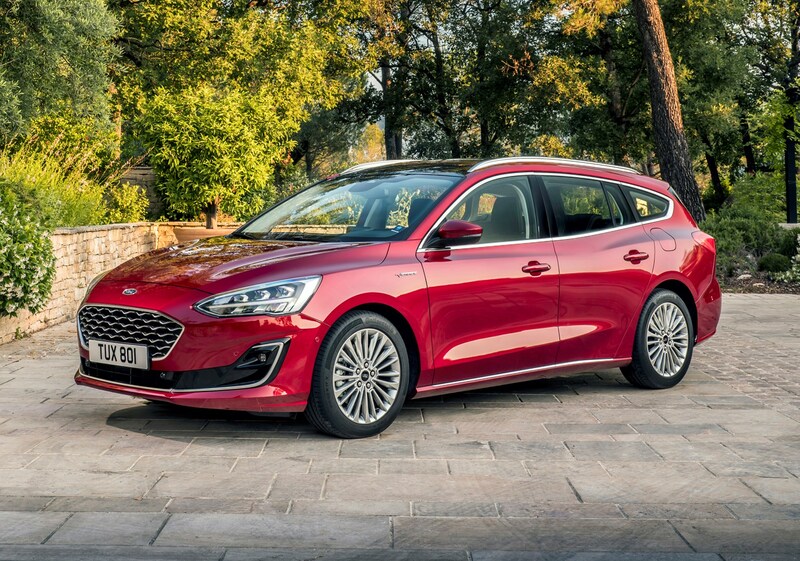 The new Focus Estate shares the more curvaceous design language displayed more obviously on its five-door hatchback counterpart. 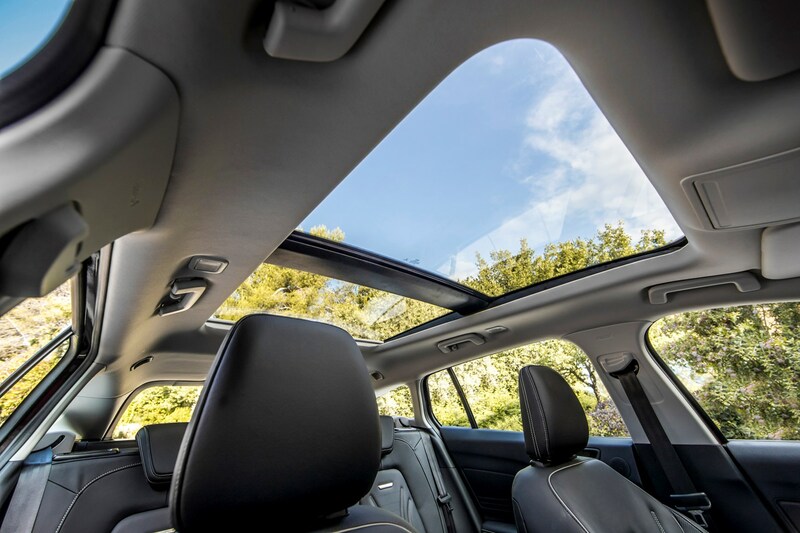 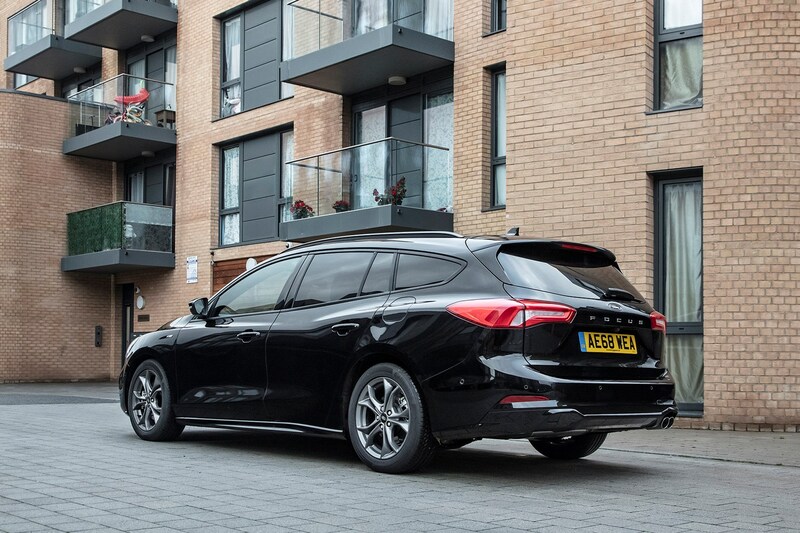 This is a good move, because in a market that's becoming saturated with SUVs and crossovers, buyers might be missing out on the additional practicality of an estate car because they're put off by less on-trend styling. 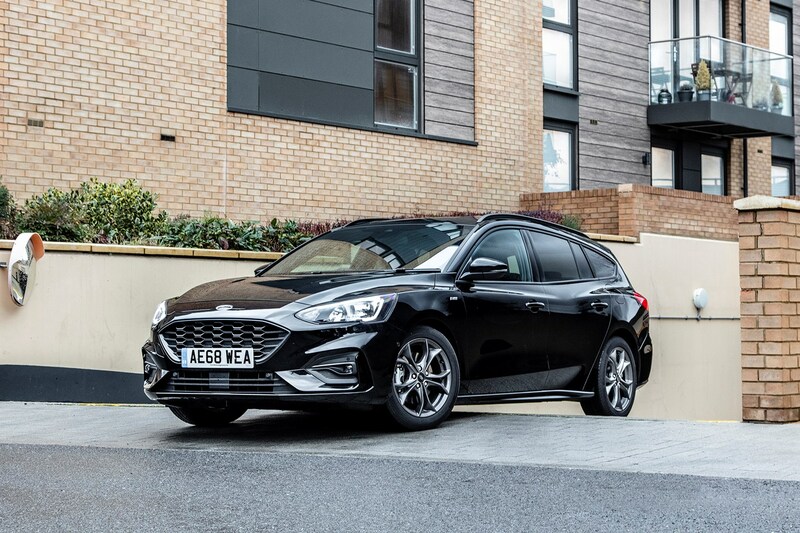 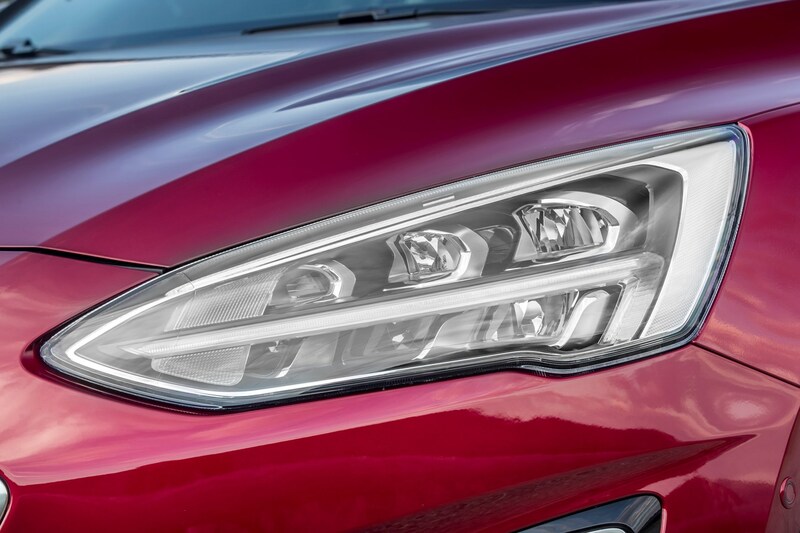 With a deeper grille, and headlamps reminiscent of some of Volvo’s more recent designs, the Mk4 Focus Estate builds upon the evolutionary styling already seen on the current Ford Fiesta range. 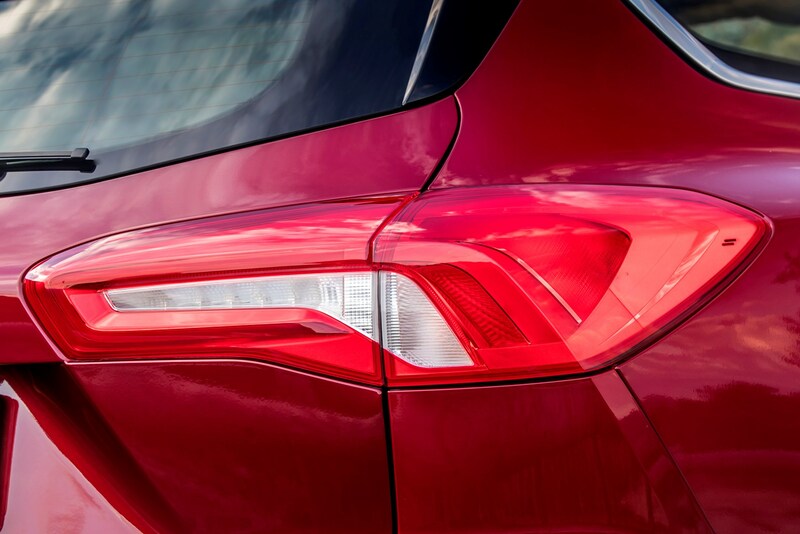 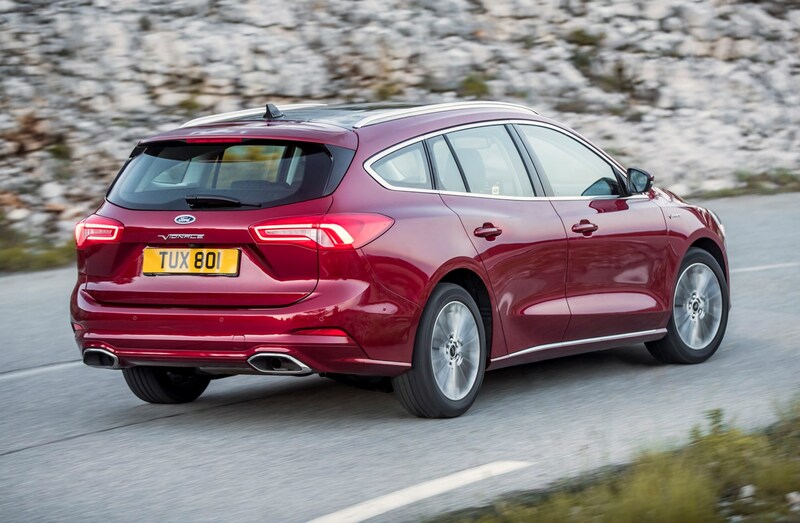 As with the Focus Estate the newcomer replaces, the tail lights are arranged horizontally, with a split to enable a usefully wide tailgate opening. 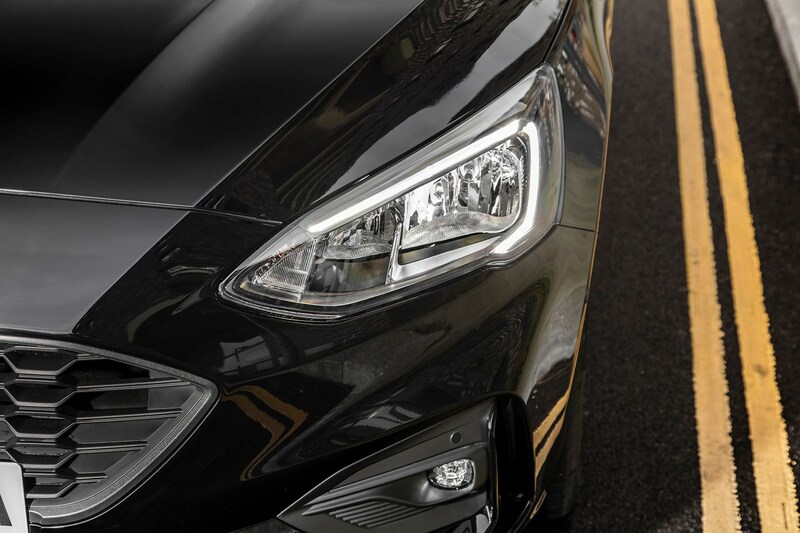 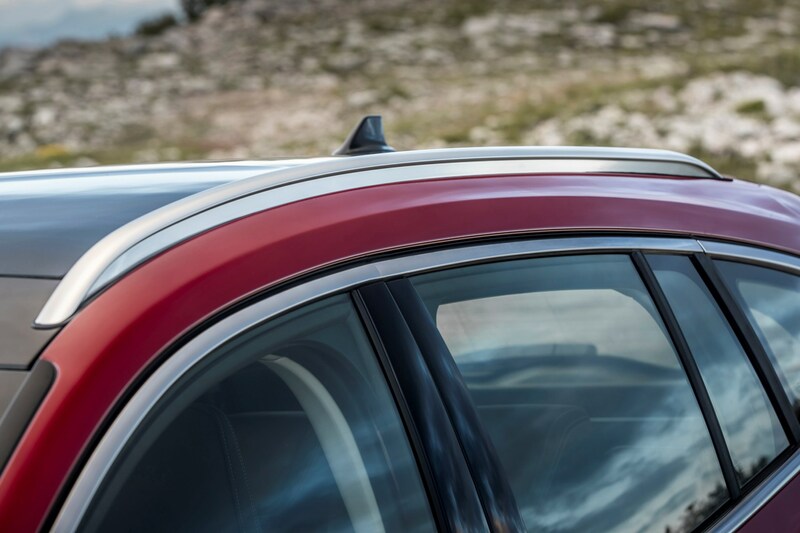 Aerodynamics are improved thanks to Ford's active grille-shutter technology, and active air management underneath the car. 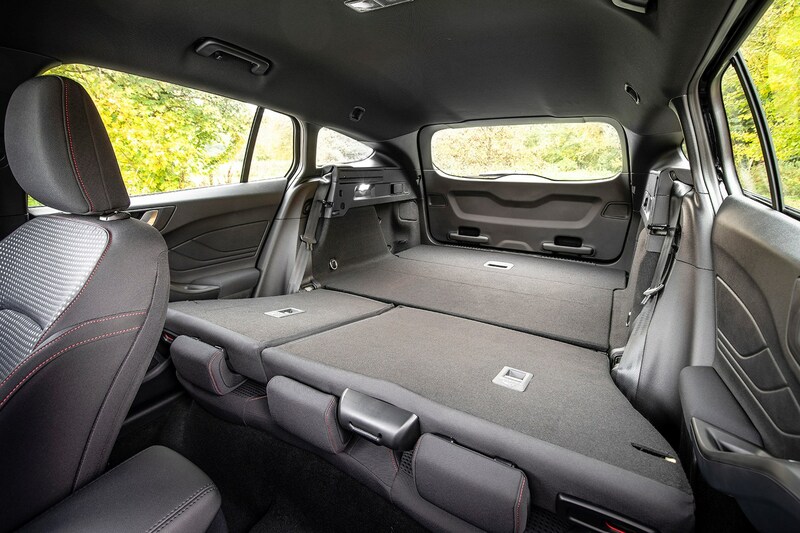 Ford Focus Estate: how big is it inside? 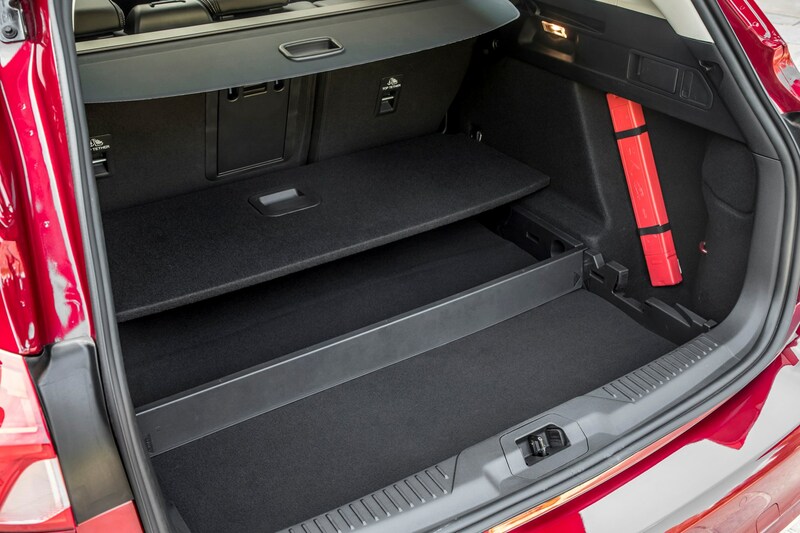 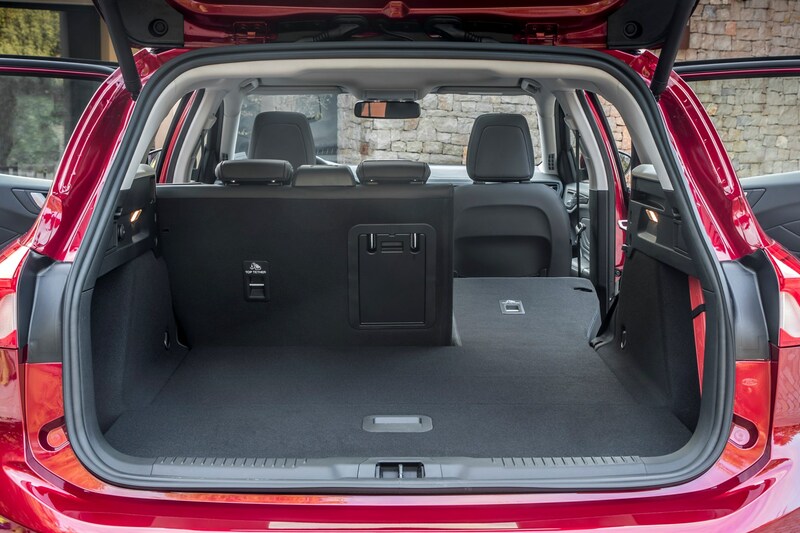 Ford clearly knows its customers, as the company says that the Focus Estate's luggage space is designed to comfortably accommodate a dog crate. 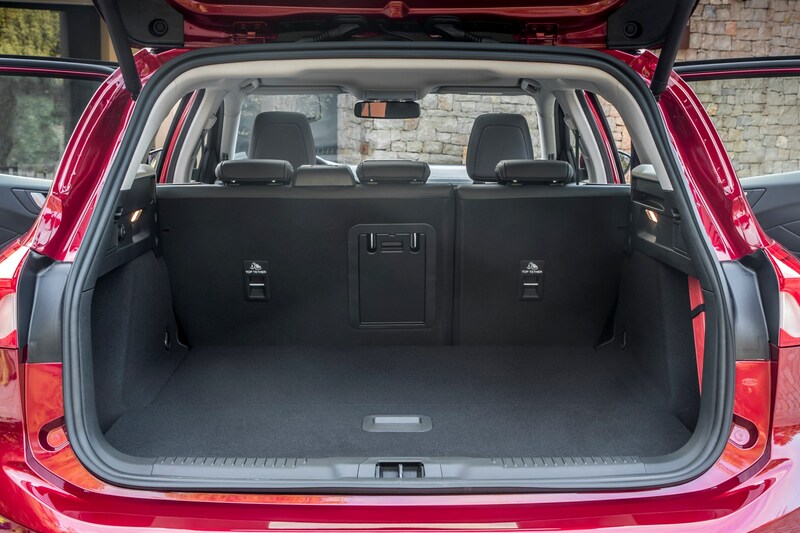 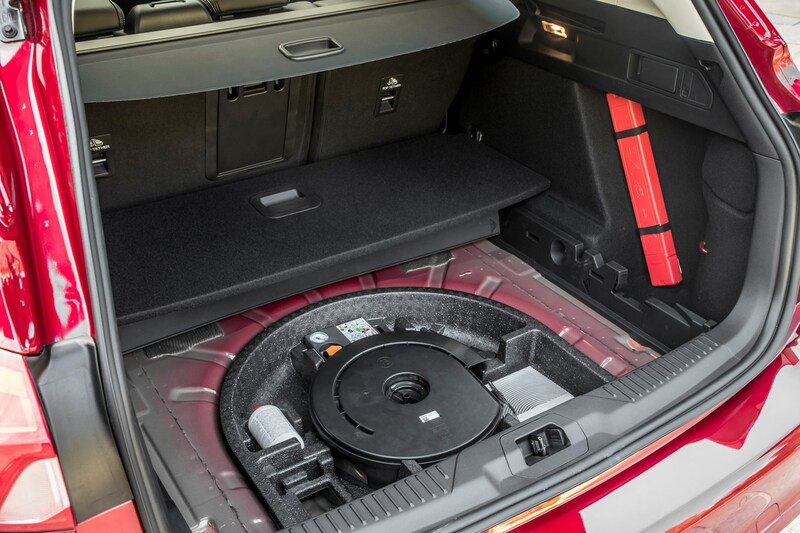 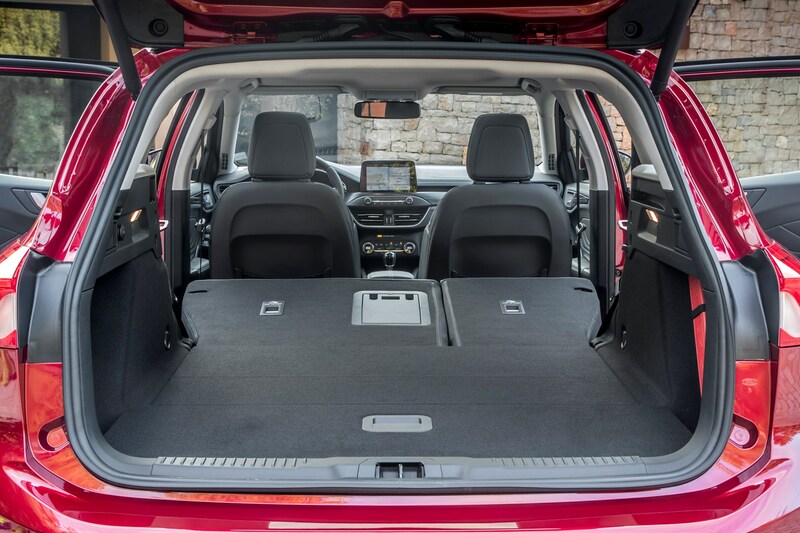 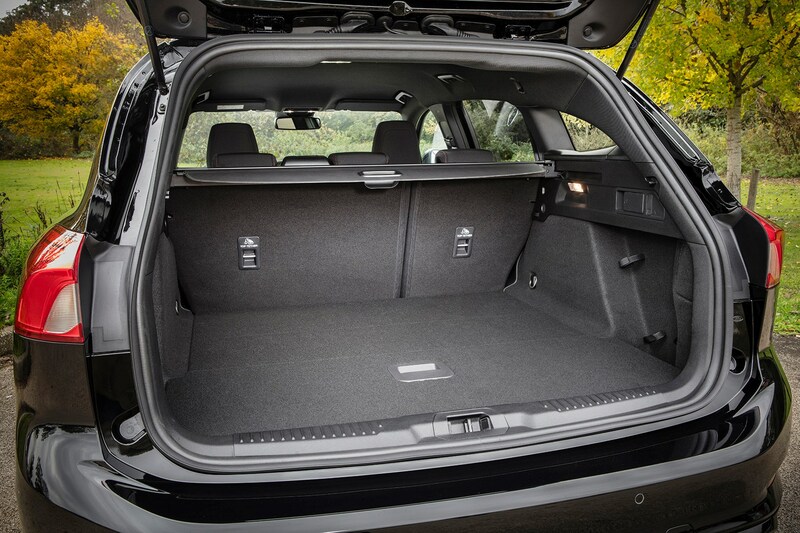 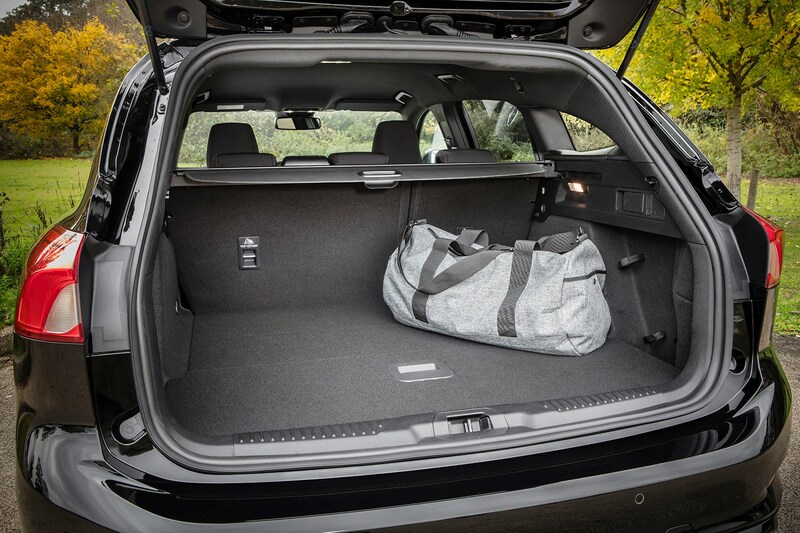 Maximum load space with the seats folded down is 1,650 litres. 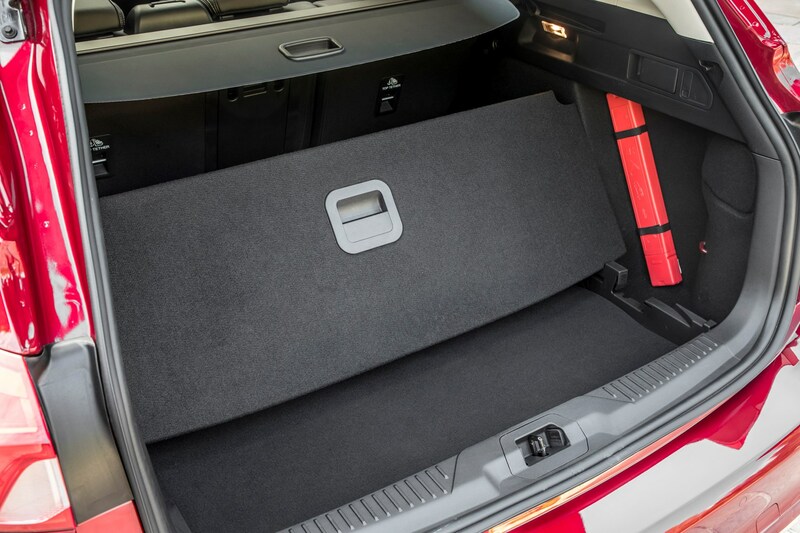 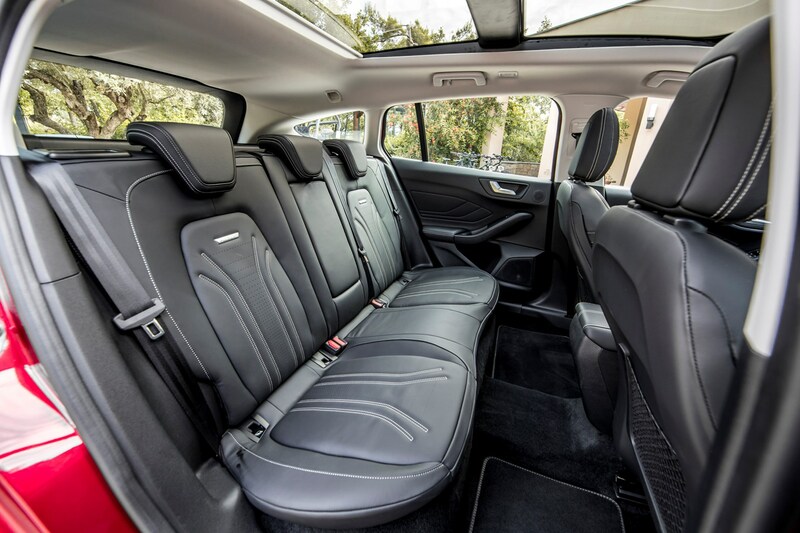 Most importantly, it's larger than before, with load height increased by 43mm, the length to the rear seat increased by 25mm and total load length increased by 175mm. 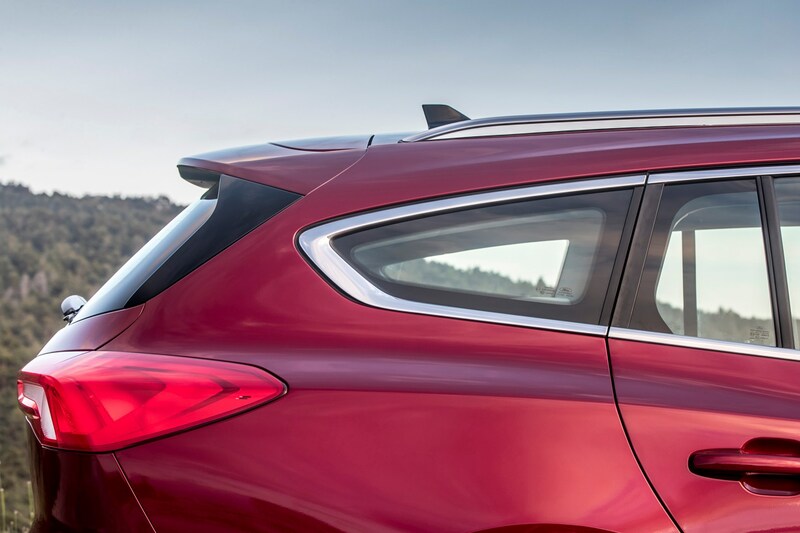 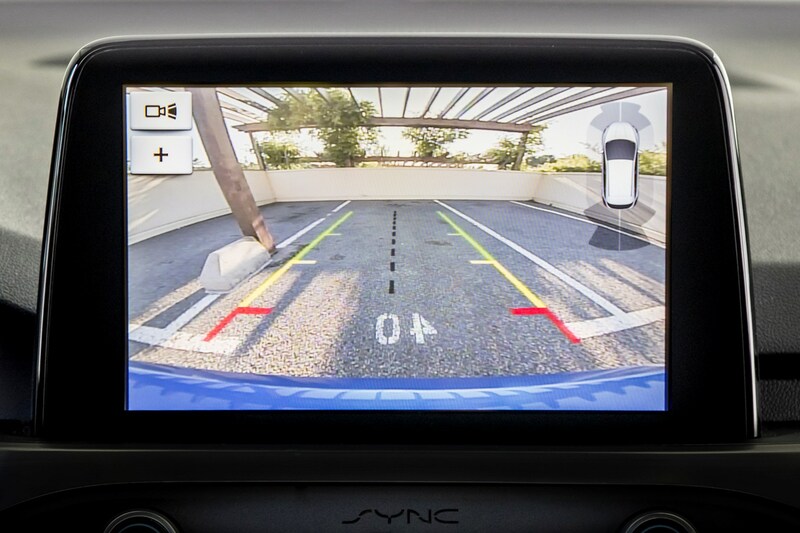 The 2018 Focus Estate is offered with Ford’s hands-free tailgate technology allows access to the boot space with a simple kicking motion under the rear bumper. 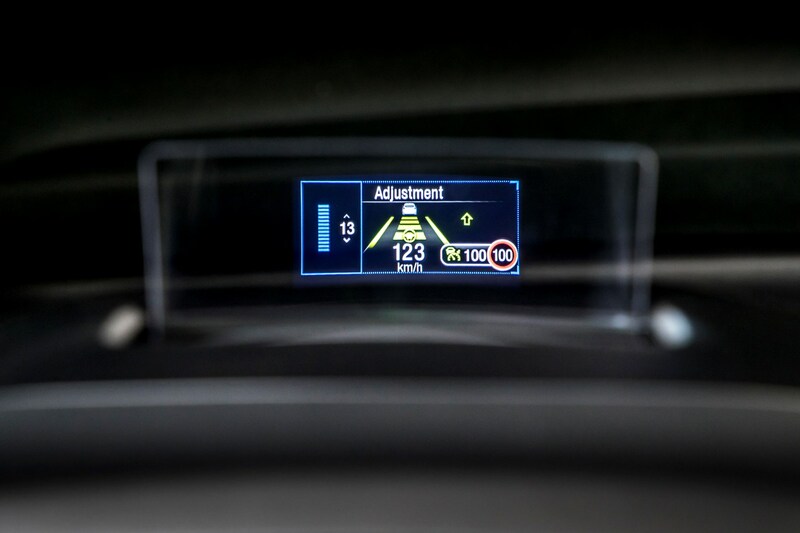 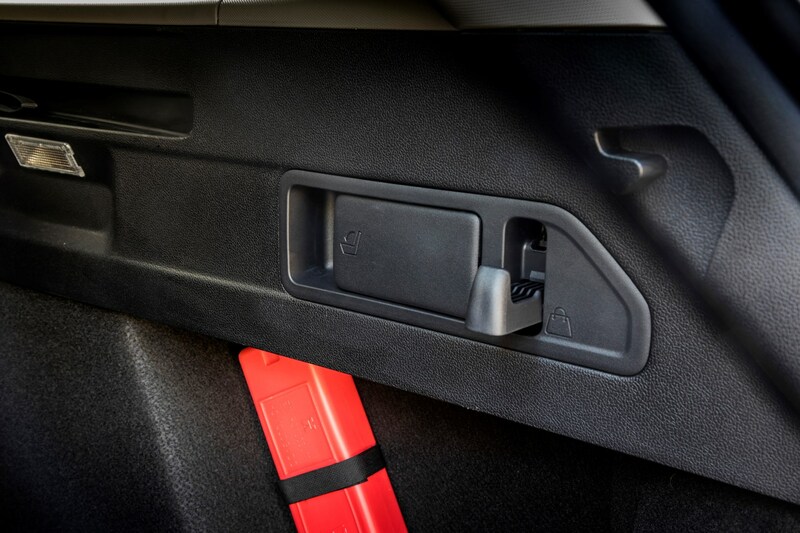 You also get to fold the rear seats with the push of a button. 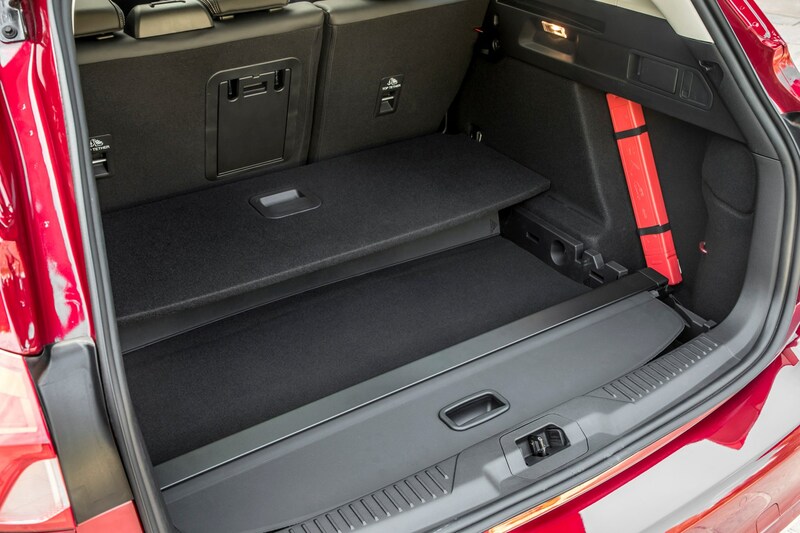 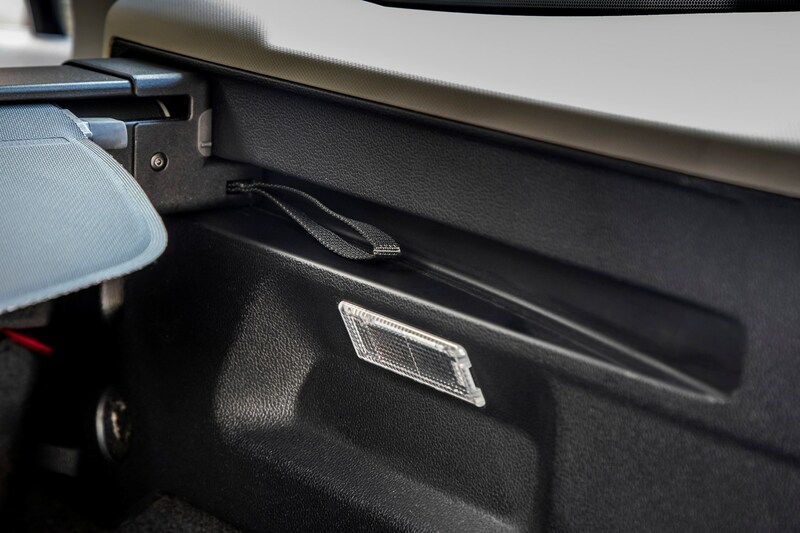 Finally, the flexible load floor incorporates space for the quick-release tonneau cover. 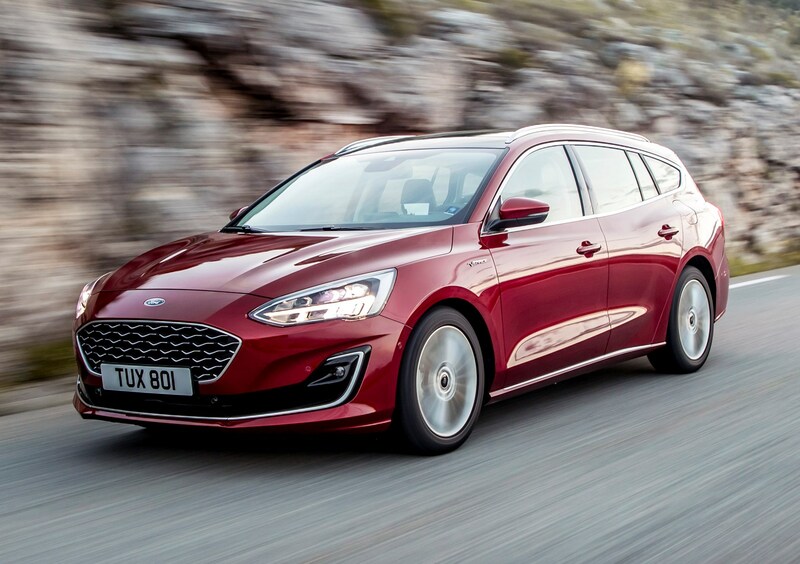 What engines are available in the Ford Focus Estate? 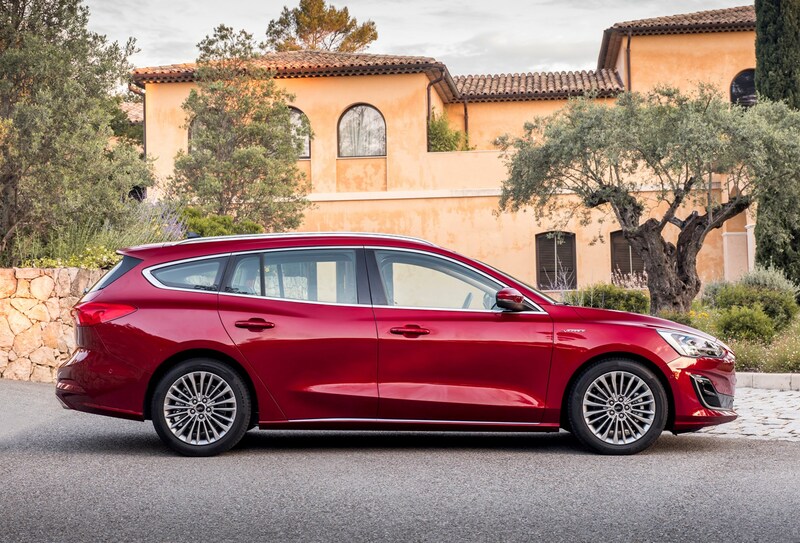 The 2018 Focus Estate features an identical range of engines to its Hatchback sibling. 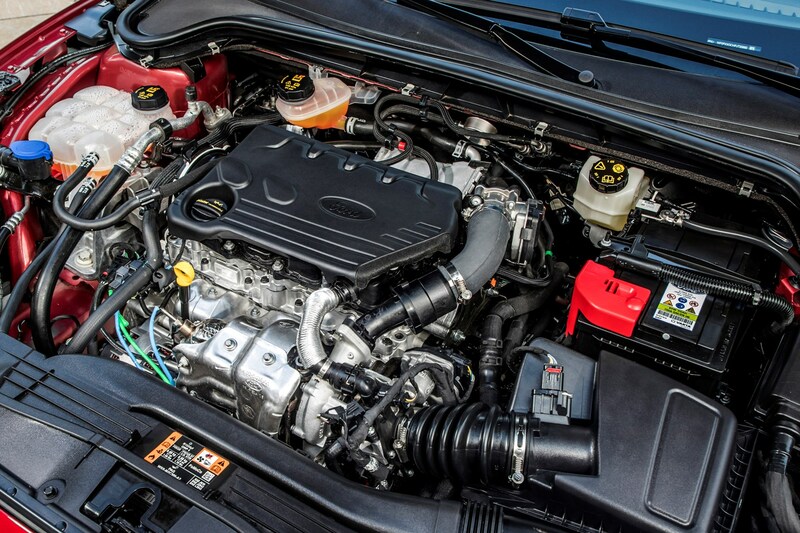 EcoBoost petrol and EcoBlue diesel engines will be available from the start, all being turbocharged for both performance and efficiency. 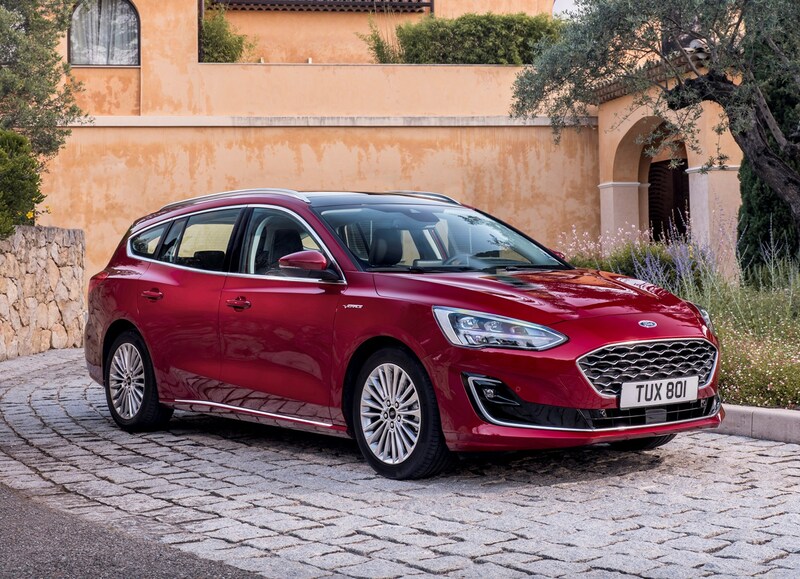 The 1.5-litre EcoBoost petrol is described by Ford as an all-new unit, claiming that it's a more efficient than the old motor of the same size. 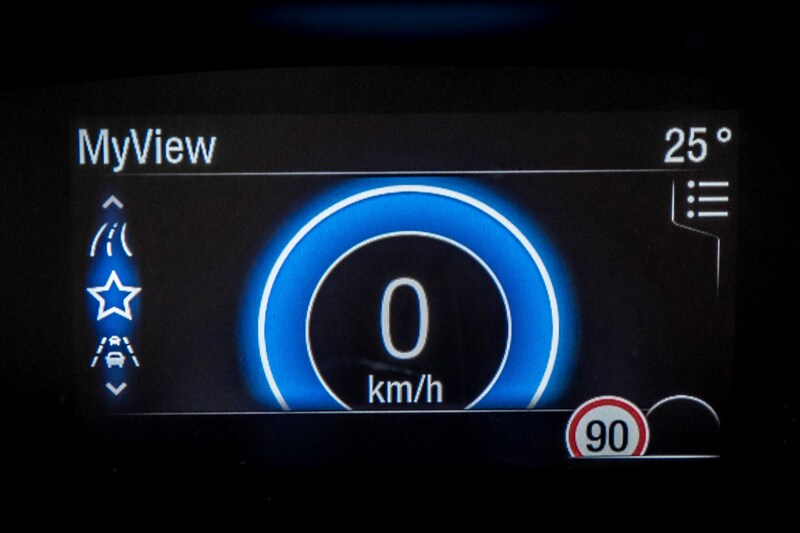 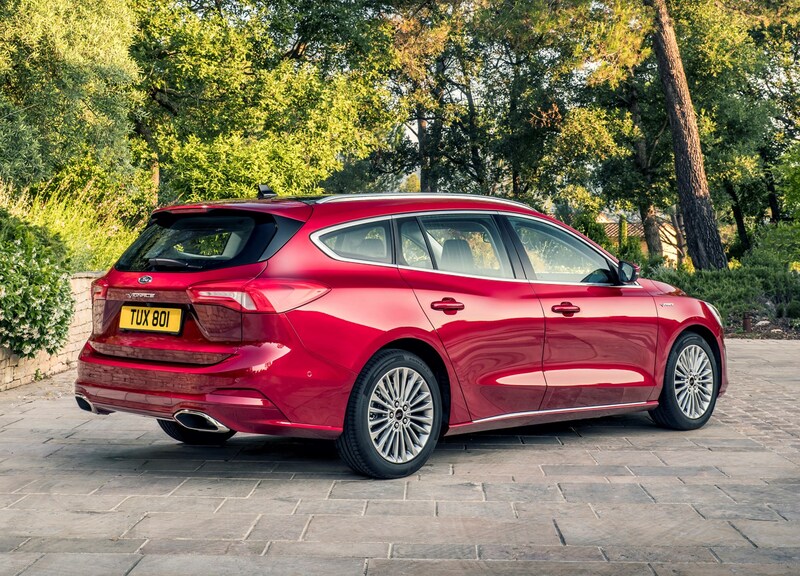 The 1.0-litre Focus models also boast improved economy figures, aided by cylinder shut-off technology – a world first for a three-cylinder car. 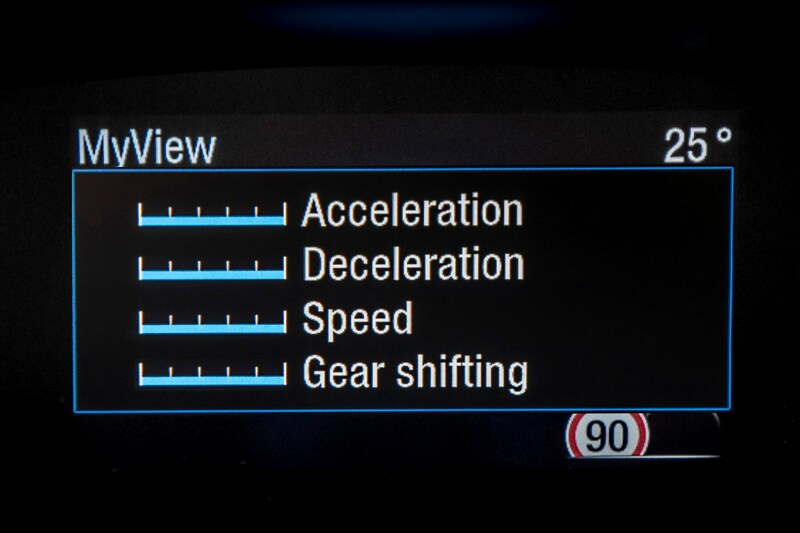 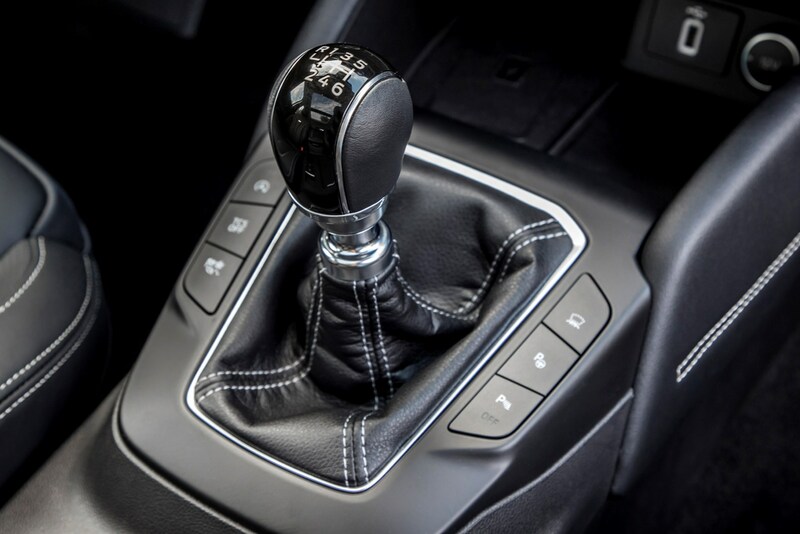 Six-speed manual gearboxes are standard across the vast majority of the range, with an eight-speed automatic option for all models above 120hp. 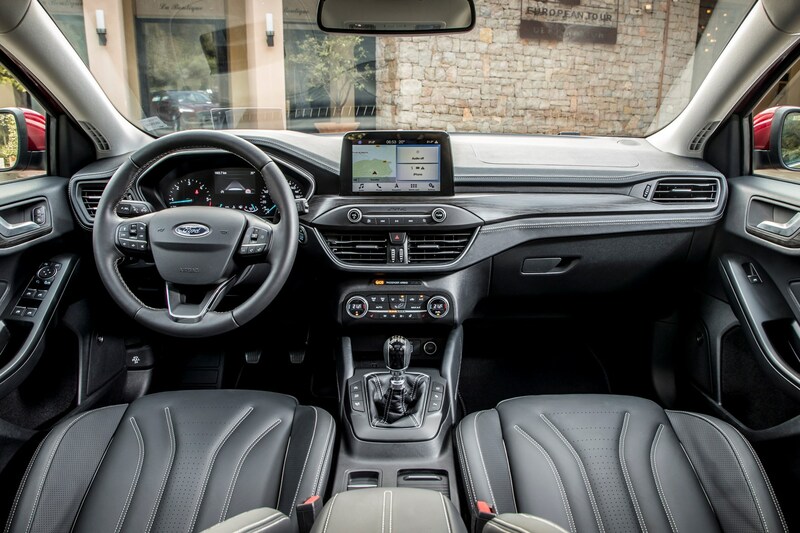 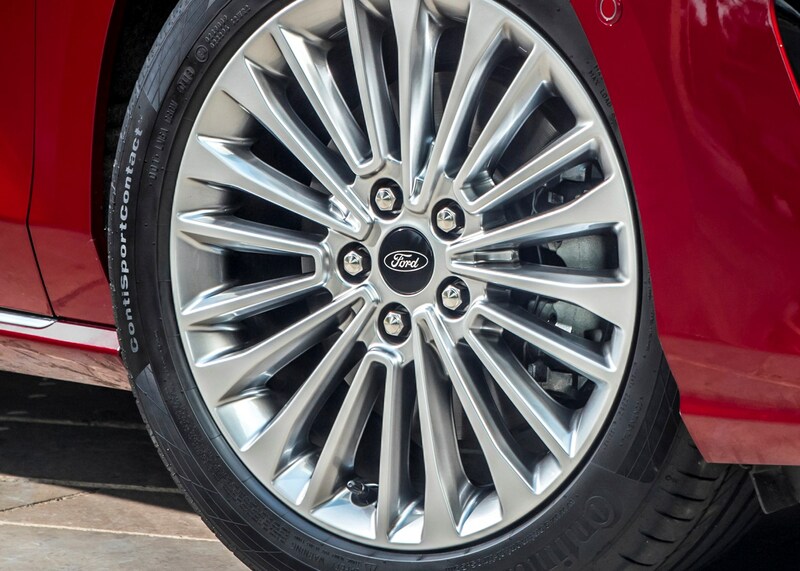 What Ford Focus Estate trim levels are offered? 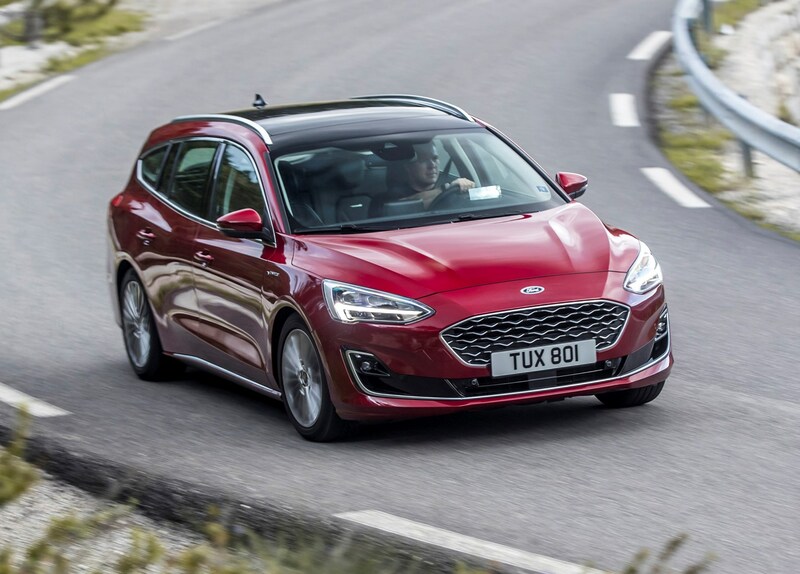 No surprise that the fourth-generation Focus Estate features a specification hierarchy similar to both the outgoing model and the smaller Fiesta. 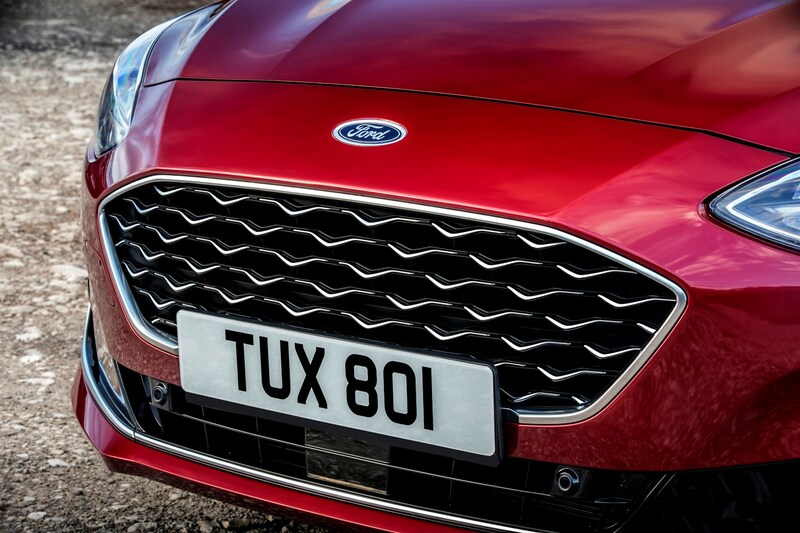 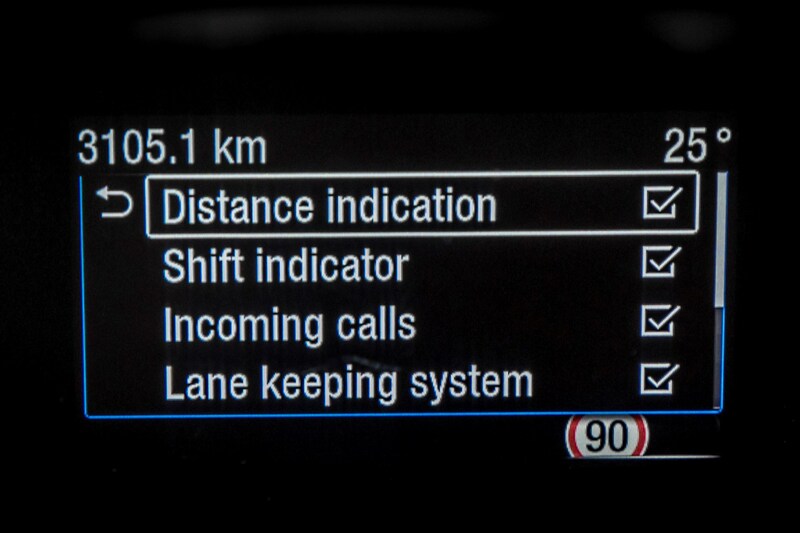 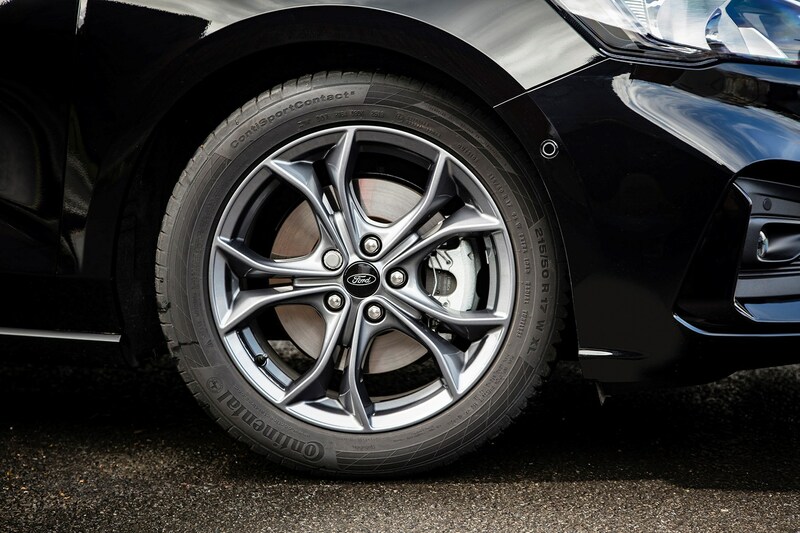 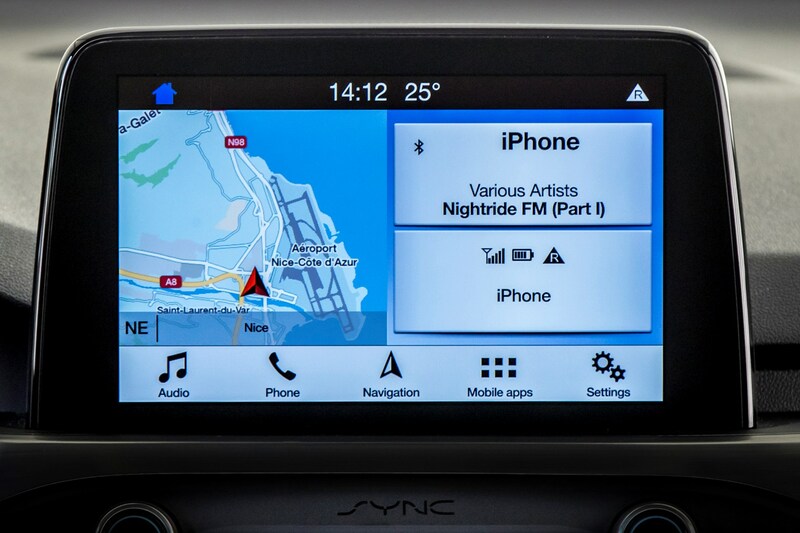 That means a choice of Style, Zetec, Titanium and Titanium X, plus the sporty ST-Line and ST-Line X. 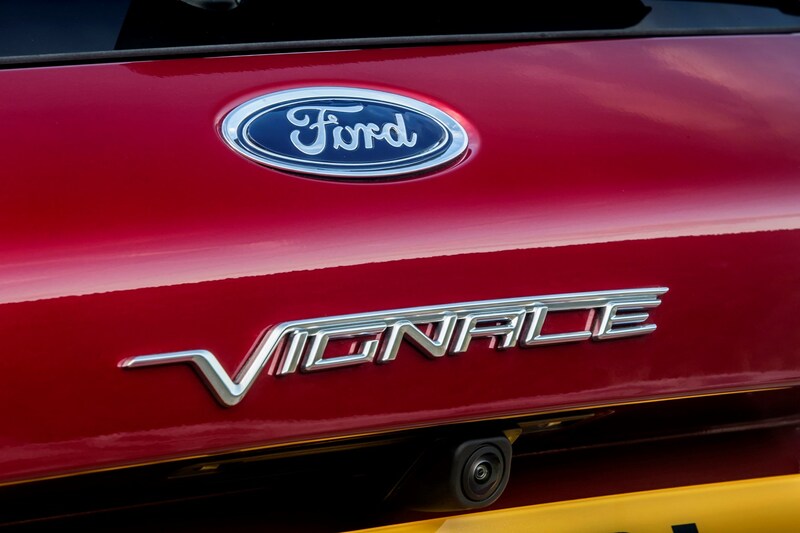 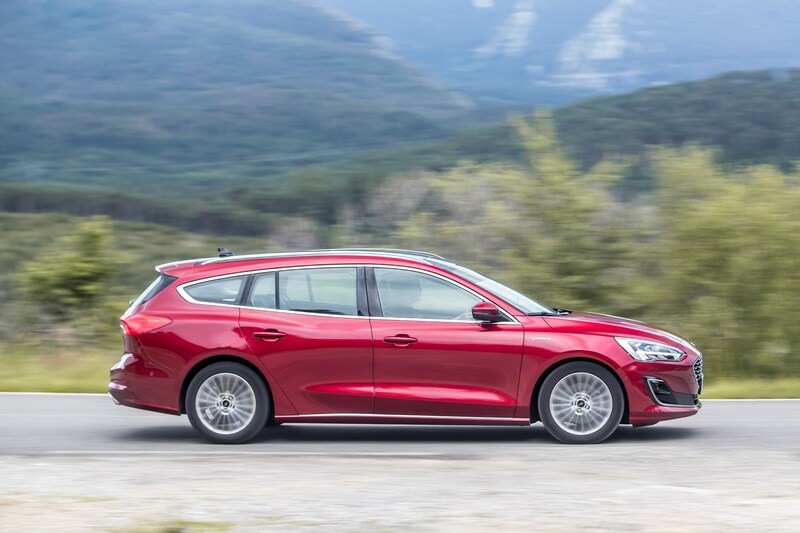 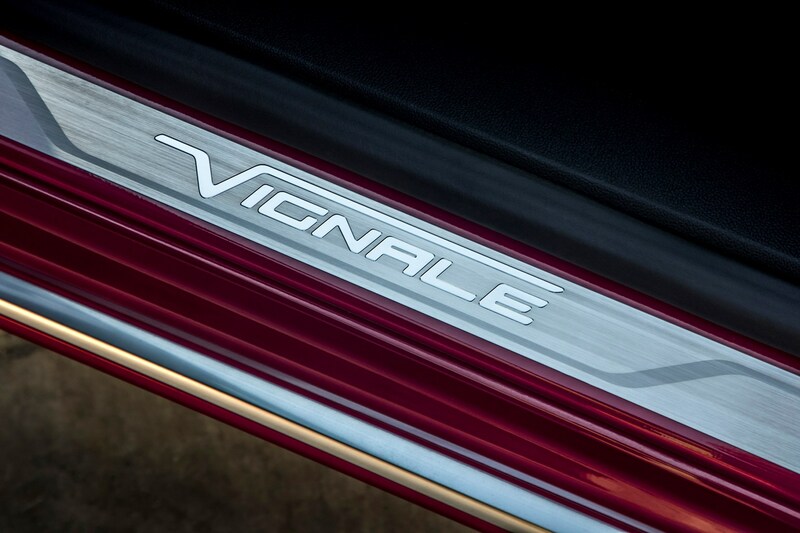 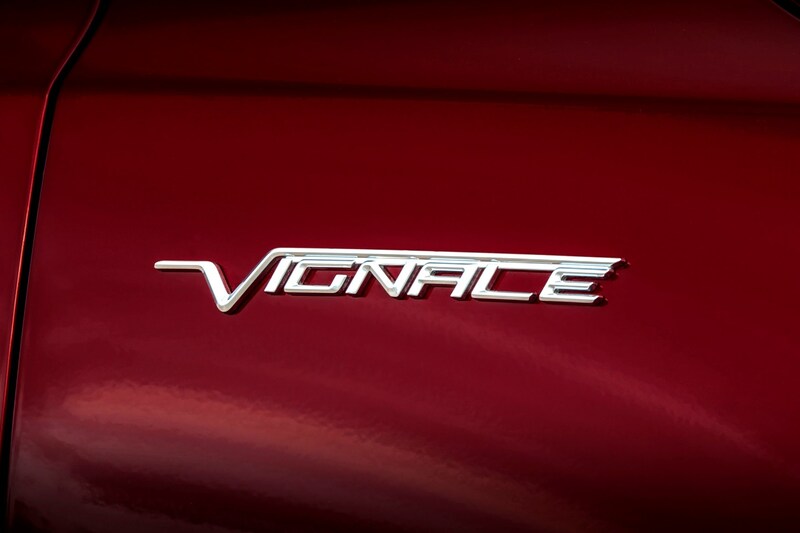 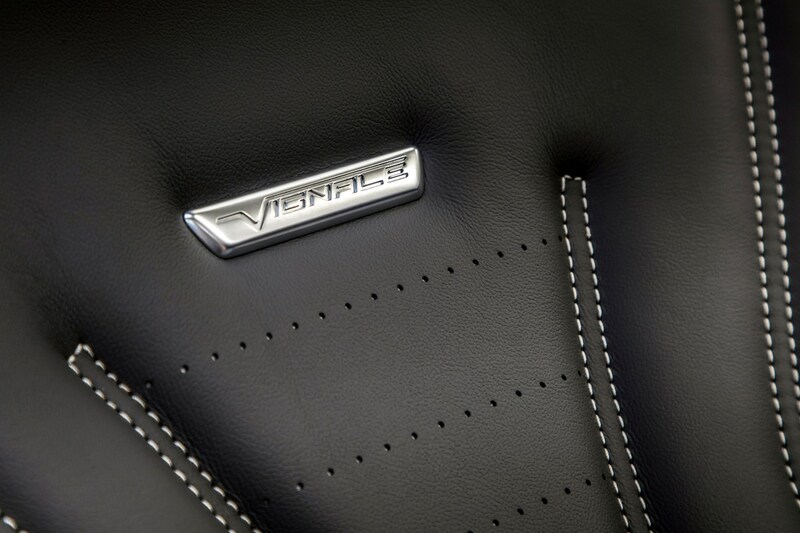 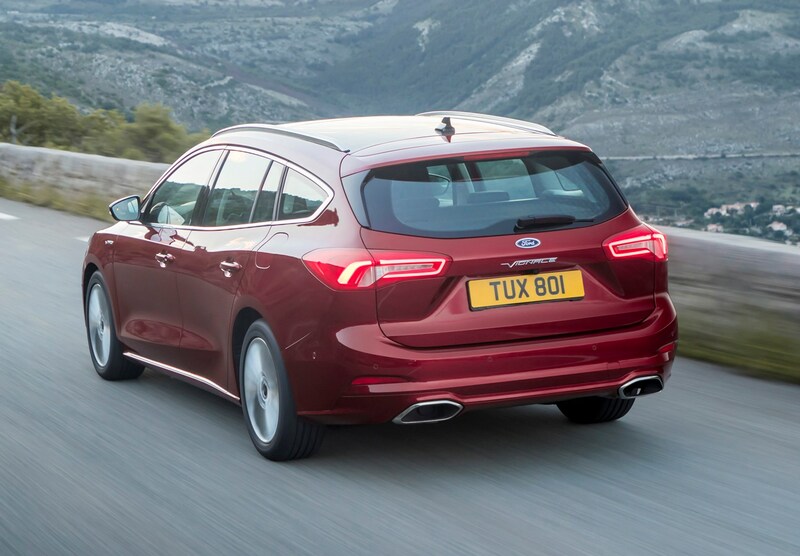 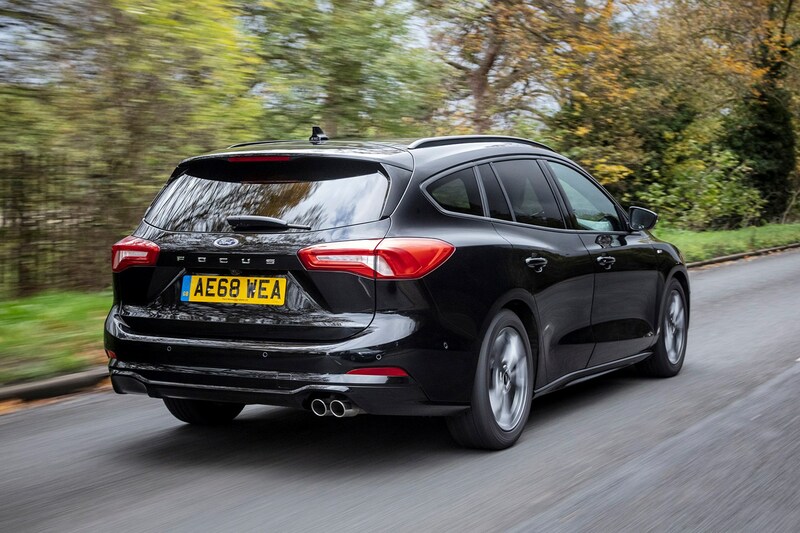 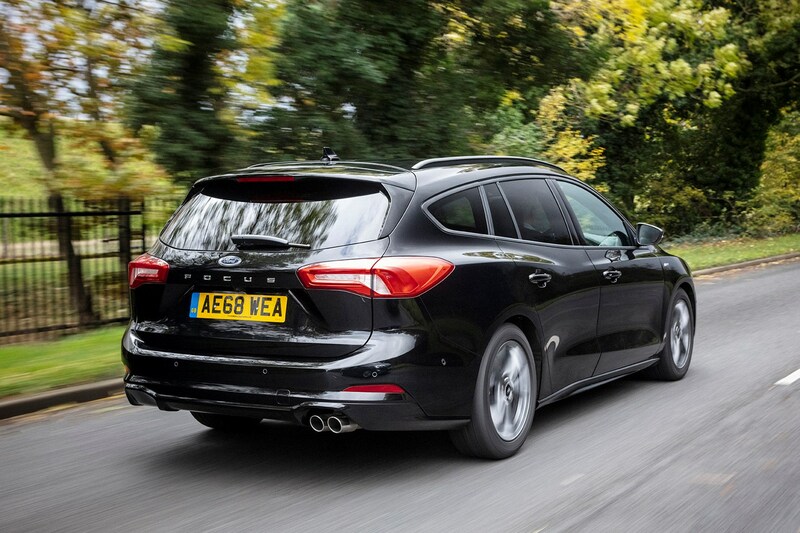 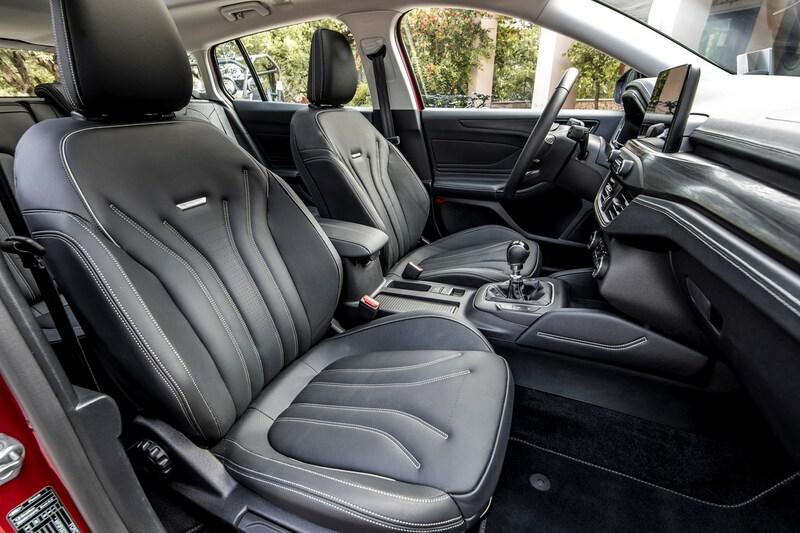 For those looking for something more luxurious, the Focus Estate is available in more indulgent Vignale guise. 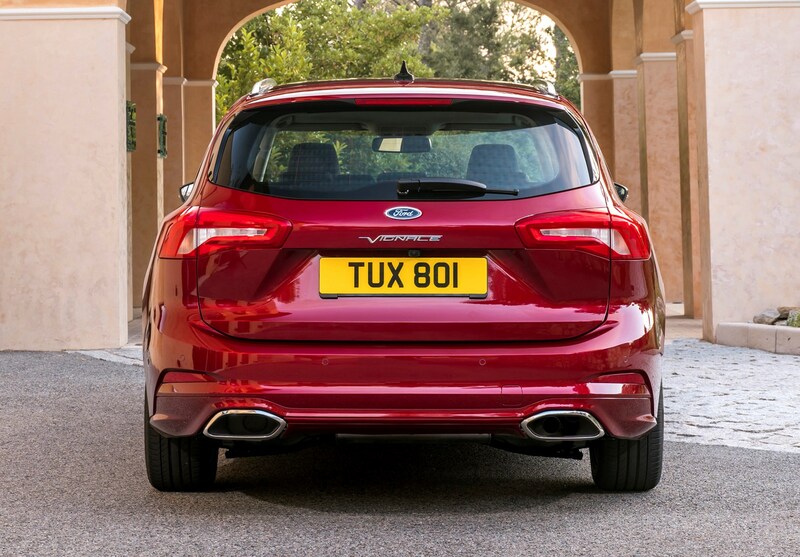 It's laden with lashings of chrome decor and a leather interior among other distinguishing features such as unique grille and chrome-like alloys. 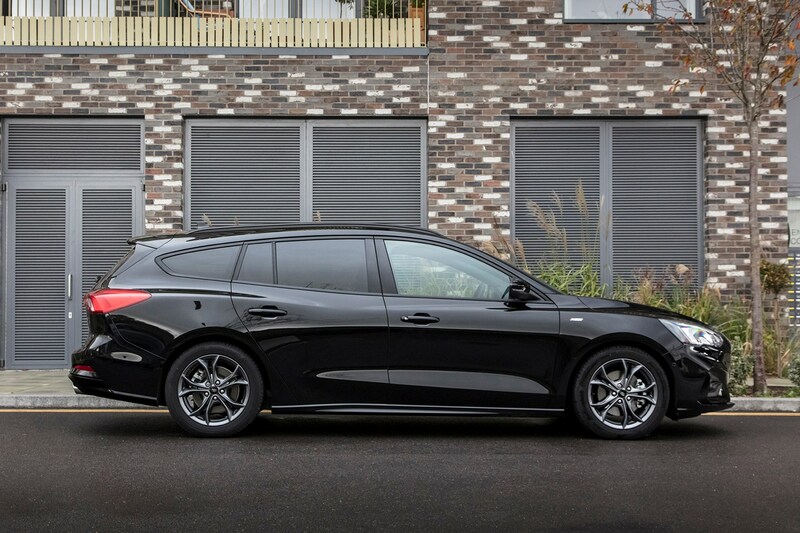 If you want something with more rugged appeal, there’s also a jacked-up Focus Estate Active with extra protective body cladding and a more rough and tough image, taking aim at the Volkswagen Golf Alltrack and Skoda Octavia Scout. 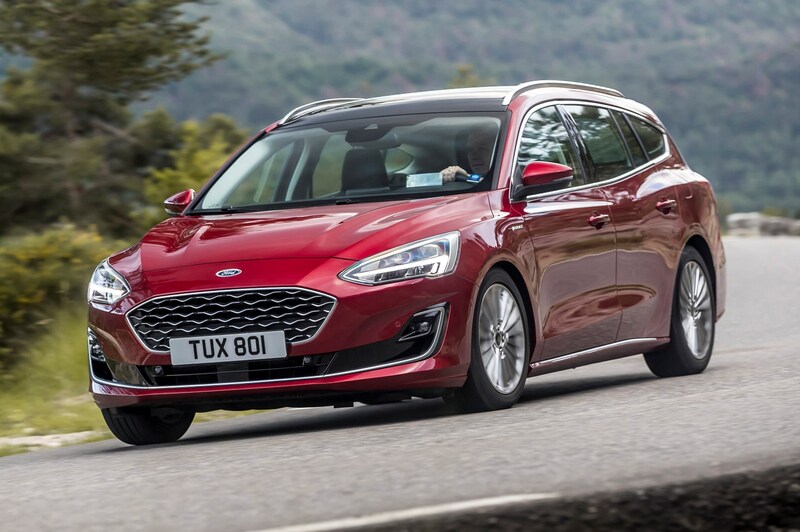 Should you buy a Ford Focus Estate? 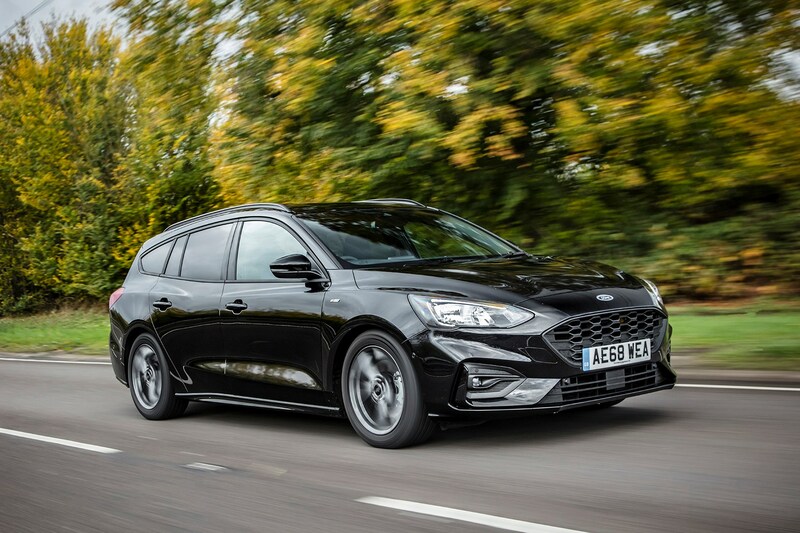 There’s little to criticise about the Ford Focus Estate. 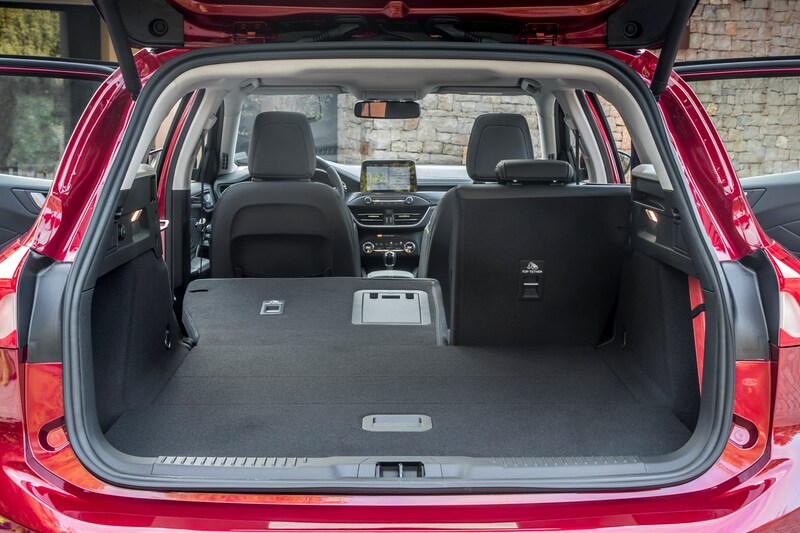 It fulfils the brief of offering a large, practical interior in a package that isn’t too cumbersome to drive around town. 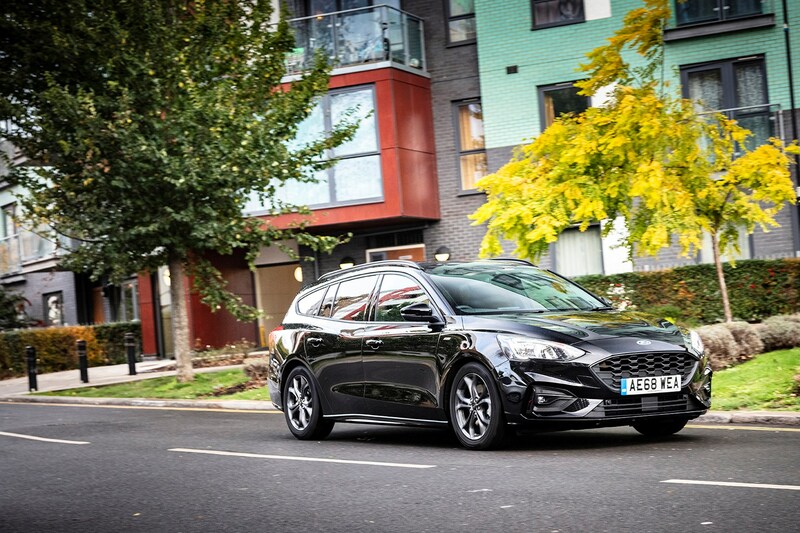 There’s a vast array of engine and trim combinations to choose from and it remains great fun to drive if you’re looking for something that isn’t just to sit on the motorway in (which it also does very well).